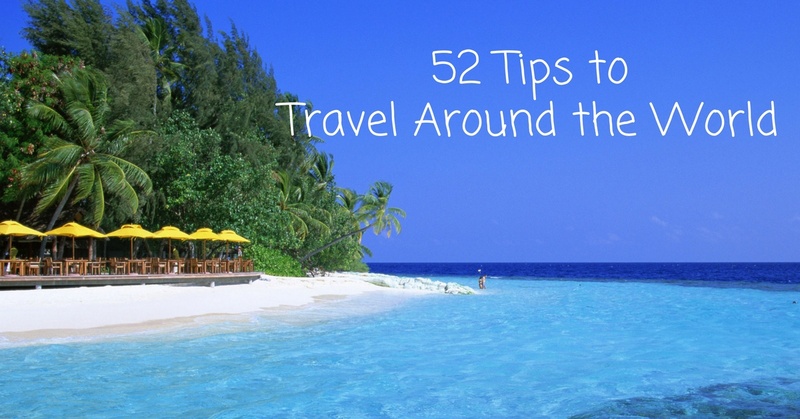 I’ve traveled the world, far and wide, and have condensed my experiences into 52 tips for the world traveler. Take my snippets of advice like an amuse bouche or an hors d’oeuvre, to peak your travel appetite to learn and experience more. The best thing about travel is that everyone’s experiences are different and there’s always something new to explore. As the traveler well knows, it’s the curiosity that is catalytic. It’s our wanderlust that pushes us to discover the unknown and aspire to travel around the world. Want to travel around the world? Here is the international travel guide and international packing tips to Travel Around the World. 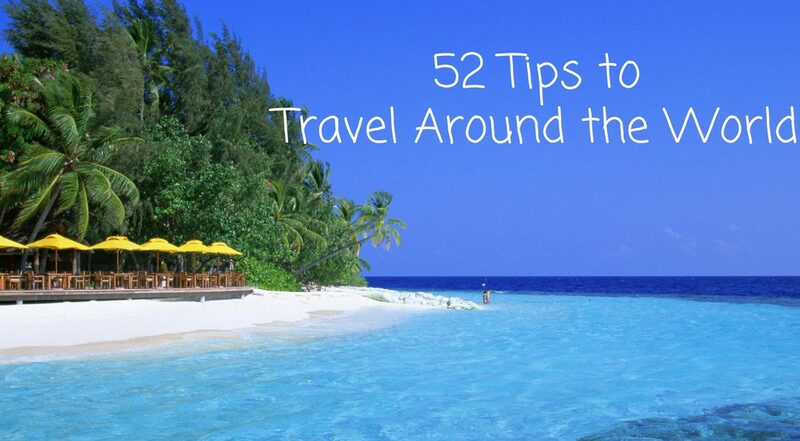 May these 52 tips be an impetus to your own travel discoveries. 2. 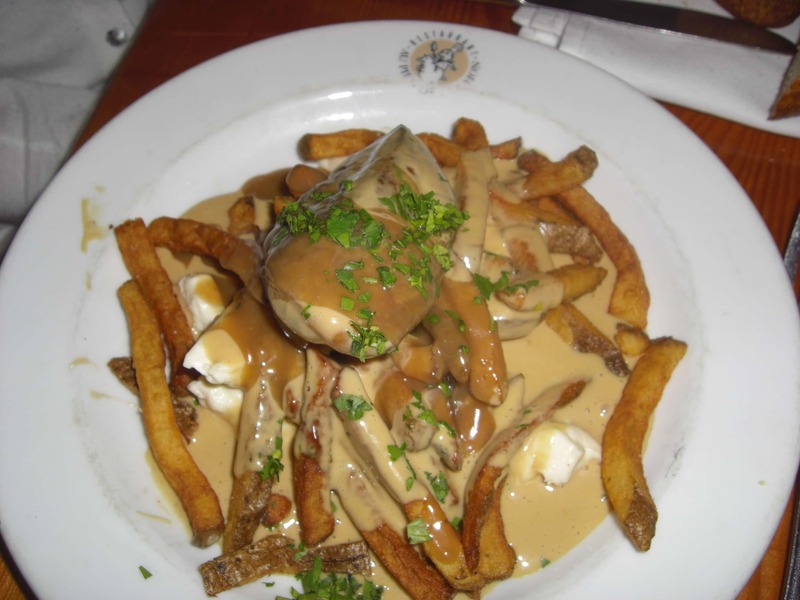 Quebec: Go to a cabane a sucre (sugar shack) in the spring and sample fresh maple syrup. These small cabins or farm estates are often commercially run. Watch as proprietors pour maple toffee onto fresh snow. Enjoy the sweet treat on a stick once it cools. 3. USA: Enjoy skiing in the Colorado Rocky Mountains….at night! Keystone resort offers the chance to watch a sunset on a mountain top and ski/snowboard under the stars. 4. Mexico: Snorkel in the Riviera Maya…the second longest barrier reef system in the world! Spit in your goggles to keep them from fogging up under water. 5. Caribbean: Go straight to Hell in the Cayman Islands! Hell is a soccer field-sized group of short, black limestone formations located in West Bay, Grand Cayman. 6. Caribbean: Eat conch, the national dish of the Bahamas. Try it deep fried (‘cracked’), raw with lemon, or the traditional way with peas and rice. 7. England: Visit Sally Lunn’s in Bath and try the 300-year old recipe for the world-famous lemon-scented Sally Lunn bun with clotted cream. 8. 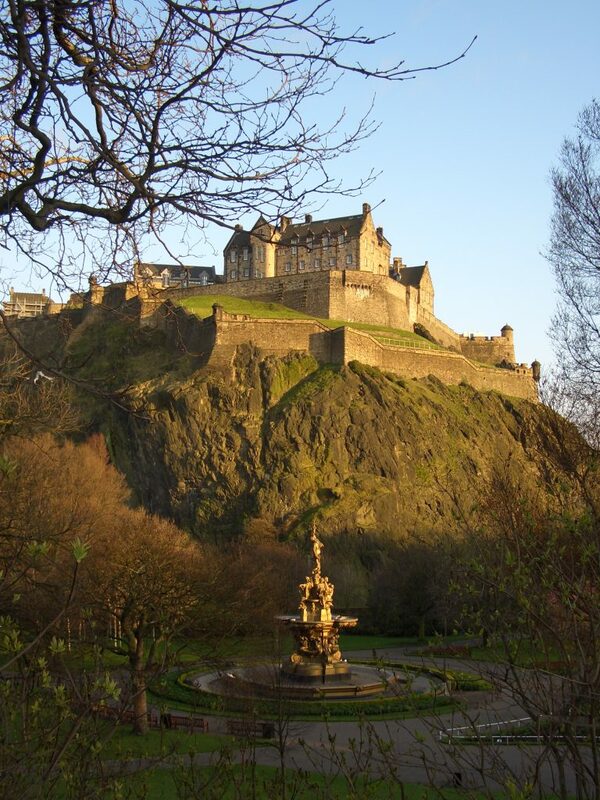 Scotland: Stand below the majestic Edinburgh castle in Scotland and hum ‘Scotland the Brave’ as nearby bagpipers proudly play the tune. 9. Scotland: Cycle the 32 miles of the northern half of the Scottish Isle of Arran, also known as Scotland in Miniature. A great way to see all that Scotland has to offer, the abbreviated version. 10. Wales: Enjoy Welsh Rarebit- a dish of savory cheese sauce served over a piece of hot toast. Bubbly, creamy, cheesy…you can’t go wrong. 11. Ireland: Sample a Guinness from its origin at Gravity Bar at St. James’ Gate Brewery in Dublin. Check out the shamrock decorated in the frothy beer head before that first refreshing sip. 12. France: The French love Americans that make an effort. When you attempt to ask a French person for assistance, even in English, start out with this phrase in French, ‘excuse moi de vous deranger, mais pouvez vous m’aider s’il vous plait?’ (excuse me for disturbing you, but can you please help me). Pronunciation: Excuse-uh mwah duh voo day-rahn-jay, may poo-vay voo med-day see-voo play? Use this disarming catch phrase and melt the haughty Parisian exterior every time. 13. Spain: Tapas are small portions of food eaten during the early evening hours, usually in a bar, accompanied with Sangria or the like. Sample these small plates and experience the freshness, innovation, and flavors of Spanish cuisine. Note: Have several tapas to hold you over until dinner which is eaten very late in Spain. Restaurants don’t usually fill up until 11pm. 14. Portugal: Visit the Algarve, on the southern coast of Portugal. This is the most frequented tourist spot in Portugal and one of the most popular holiday destinations in Europe due to the beautiful beaches, friendly locals, and countless restaurants and bars. 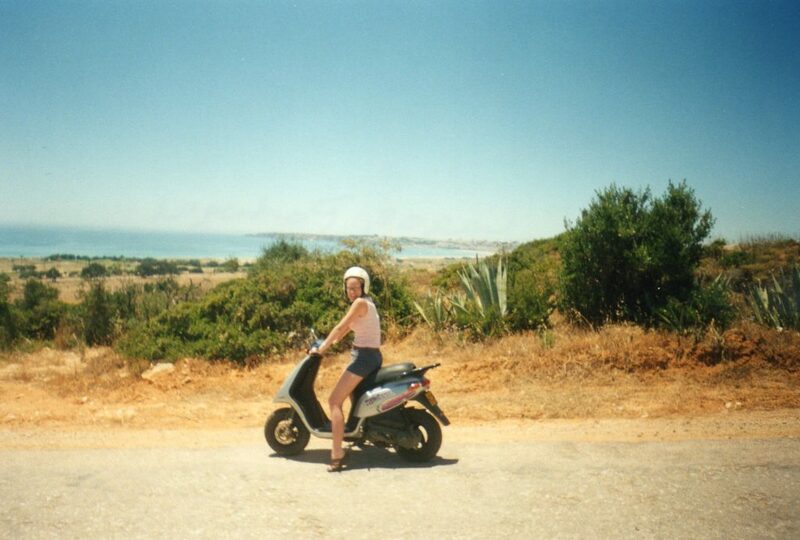 Rent a scooter and hop between the towns located in this laid-back, picturesque area. Lagos is my favorite! 16. Italy: Meals in Italy are generally served as follows: antipasto (hot or cold appetizers), primo (first course, usually pasta), secondo (the main dish, usually meat), conterno (side dishes), framaggio e fruita (cheese and fruit), dolce (dessert), caffé (coffee). Italians know the importance of a good meal and take time to savor their food. 17. Vatican: Dress modestly and make sure that your shoulders are covered when visiting the Vatican City or Holy See. Or else, you’ll be denied entrance and will be directed to a nearby souvenir shop to buy a ‘Someone who loves me went to the Vatican’ tee shirt to cover yourself with. 18. Monaco: Live like the other half does in Monte Carlo. Drink a glass of champagne along the Port de Hercule and dream of owning one of the stately and very expensive yachts. 19. Greece: Sip a cocktail from atop the cliffs of the Greek isle of Santorini and watch the sunset over the caldera and Aegean Sea. 21. Hungary: Stand on one side of the Danube and be in Buda, stand on the other and be it Pest! The view is stunning and renowned from both sides. Budapest is regulary cited as being one of Europe’s most beautiful cities. 22. Slovenia: Explore the natural beauty of Slovenia. Slovenia offers tourists a wide variety of landscapes in a small space: Alpine in the northwest, Mediterranean in the southwest, Pannonian in the northeast and Dinaric in the southeast. 23. 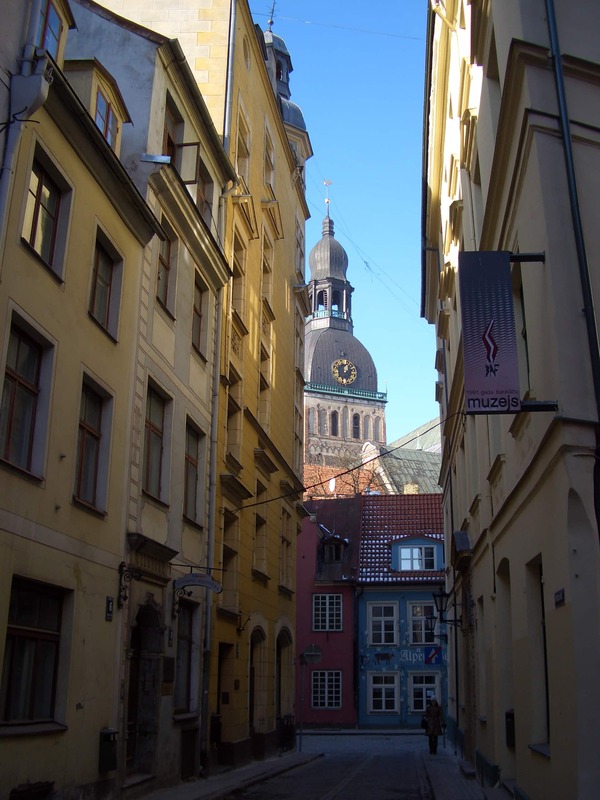 Poland: Visit Gdansk on the Baltic Coast and the neighboring spa town Sopot for some rest and relaxation. While there, check out the longest wooden pier in Europe at 514 meters that extends into the Bay of Gdansk. 24. Austria: Have a Viennese coffee in Vienna. The Austrian capitol is famous for its coffee and once you’ve had a sip you won’t be able to get enough. Just remember to order the coffee in Viennese style : “Ein kleiner brauner” (Viennese coffee with milk) or “Ein kleiner schwartzer” (back Viennese coffee). 25. Germany: Visit the Hoffbrau House in Munich and enjoy a beer and pretzel as big as your head! 26. Netherlands: Amsterdam has 249 miles of bike paths and lanes which make city cycling very popular. Know your bike safety rules if you’re a cyclist and be sure to look both ways when crossing any path if you’re a pedestrian. 27. Belgium: Visit Brussels, the capitol of Belgium, of the European Union and headquarters to NATO. Brussels has become a hub for international politicians, diplomats, and civil servants. If politics are interesting to you, you’ll no doubt find good conversation here. 28. Latvia: Stroll through Old Town Riga, a UNESCO World Heritage Site, and view the finest collection of Art Nouveau architecture in Europe. 29. Turkey: While many consider Turkey to be European, only 10% of the country lies within the geographic boundaries of Europe. 90% of Turkey is in Asia. While in Istanbul, drive along the Bosporus Bridge; everything west is Europe and everything east is Asia. On the bridge, you’re technically in two continents at the same time! 30. Japan: Never leave your chopsticks upright in your food. This is how rice is offered to the spirit of a dead person during a funeral rite. When it is done outside of ritual it is considered to be deeply disrespectful and unlucky. 31. Thailand: Though the motorized rickshaws (tuk-tuks) are a cheap method of transportation, (usually around 30B for a short trip) you are bound to tour all the souvenir shops on the way to your requested destination. If you choose to take a tuk-tuk sweetly but firmly request that you go directly to your destination when you get in. Haggle at least 15B off the quoted fare as the price is inflated from the start. 32. Ghana: Pay homage to the millions of African American that were traded in the slave trade and visit Cape Coast Slave Castle, the portal to their indentured servitude in America. Most African Americans can trace their roots back to Cape Coast. It is a haunting look at a dark time in history and most of what you see, hear and imagine is deeply disturbing. 33. Ghana: Visit the Makola Market in Accra. The buzzing market, dominated by women traders, sells fresh produce, manufactured and imported foods, clothes, shoes, tools, medicines, and pots and pans. 34. Ghana: Try Fufu, pounded cassava or pounded yam pounded together with plantain. It is eaten with light (tomato) soup, palm nut soup, groundnut (peanut) soup or other types of soups with vegetables such as nkontomire (cocoyam leaves). Soups are often made with different kinds of meat and fish, fresh or smoked. 35. Nigeria: See a Nollywood film! The Nigerian video-film industry is known as Nollywood, which is now the second-largest producer of movies in the world. Many of the film studios are based in Lagos. 36. Uruguay: When you’re driving a car remember to keep head lights on at all times, even during the day. It’s the law! 37. Argentina: Don’t miss asado! Argentina is famous for barbequed meats; succulent beef, sausage, pork, lamb and chicken makes mouths water as it sizzles on the parrilla (grill). 38. Argentina: Visit La Boca in Buenos Aires, birthplace of the Tango. Watch dancers perform on the street in Caminito, an area of this neighborhood that boasts colorful houses and a pedestrian street. Perfect for a stroll… or perhaps a dance? 39. Brazil: Samba the night away in Rio de Janeiro during Carnival. 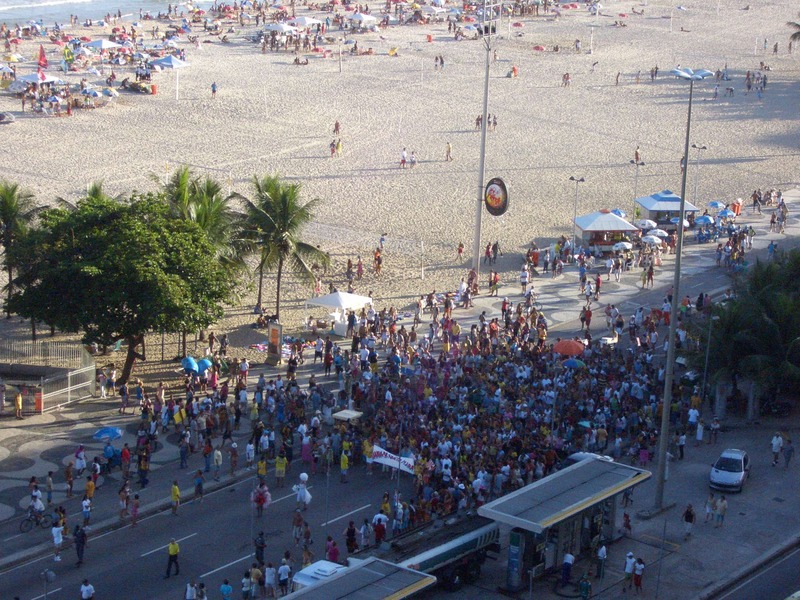 Purchase a ticket to the Sambodromo to watch the extravagant parade of elaborate samba schools or dance and join up with makeshift parades that pop up all over the city, day and night. 40. 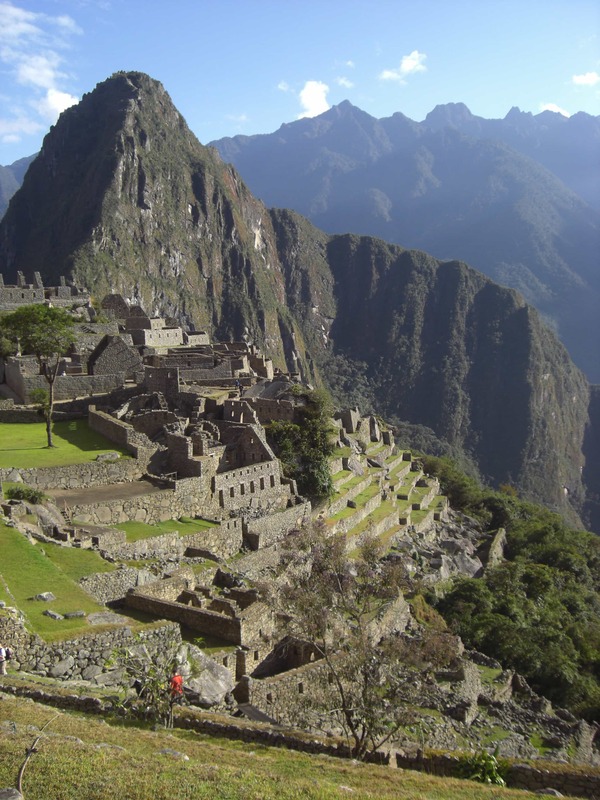 Peru: Visit the iconic Machu Pichu! Photographs of it are beautiful but you must see it in person to do it justice. It is a truly magical place. 41. Peru: While in the Andes buy an alpaca garment, try coca tea, and learn about the ninety-five-year reign of the Incas. 42. 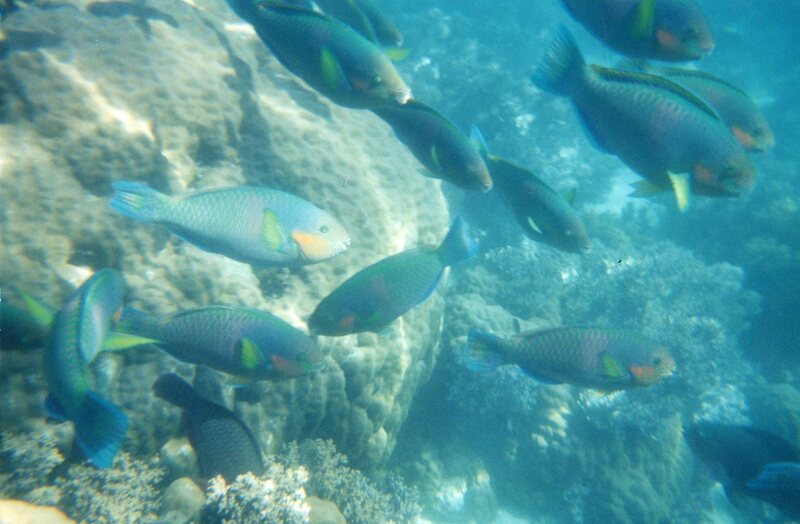 Australia: Snorkel in the Great Barrier Reef! However, never touch the coral. Simply touching corals can cause the death of an entire colony. Oils from your skin can disturb the delicate mucous membranes that protect the living coral from disease. Standing on coral can kill the living coral polyps that are the builders of the reef structure and will essentially devastate organisms that have been growing for thousands of years. 43. Polynesia: In Tahiti, the local dress is called a Pareo, a bath towel-sized piece of cotton cloth that is tied dozens of ways around the body to create a full wardrobe. Pick one up at a local store and ask for a lesson to tie it. It’s light, breathable and oh so pretty. 44. Always bring Cipro antibiotic to cure common Traveler’s Diarrhea. Especially when visiting the developing or under-developed world, this little pill will be your best friend. 45. Get your travelers vaccinations before you depart. Better to be safe than sorry. 46. Try to learn, ‘hello’, ‘please’, ‘thank you’, ‘how much does this cost’, etc. in the language spoken where you are traveling. A little effort goes a long way. 47. If you don’t understand the language, bring a small calculator in your pocket to help communicate when it comes to numbers and costs. 48. Carry-on luggage when possible. This is my number one international packing tips “tip”. It’s no fun to start a trip with lost or delayed baggage. 49. Wear layers and pack clothes that can be paired into multiple outfits. Don’t pack too much. Lay everything on the bed before you put it into your suitcase and reduce it by half before the trip. 50. Research beforehand and observe societal and cultural norms around the world. Know what to do and what not to do. Be an ambassador for America and show the rest of the world that the negative stereotypes are wrong. 51. Bring a toiletry bag on board a long flight. Before arriving at your destination, brush your teeth, comb your hair, and wash your face. It’s rejuvenating and will make the long customs queue, baggage claim, and transportation to your hotel bearable. 52. When you board a flight change your watch to the time at your destination. It gets your mind accustomed to the new time while you’re traveling and helps mitigate jet lag. Looking for the Best Airfare & Hotel Deals? When I’m booking a new trip my favorite place to start is Hotels.Com and Priceline.com for the best deals. Hope these tips for travel around the world have inspired you to book your next trip. Have a tip or suggestion? Did we miss a great location on the list? Please share in the comments below!